we celebrated our baby twins 4th birthday over the weekend. drew is awesome! 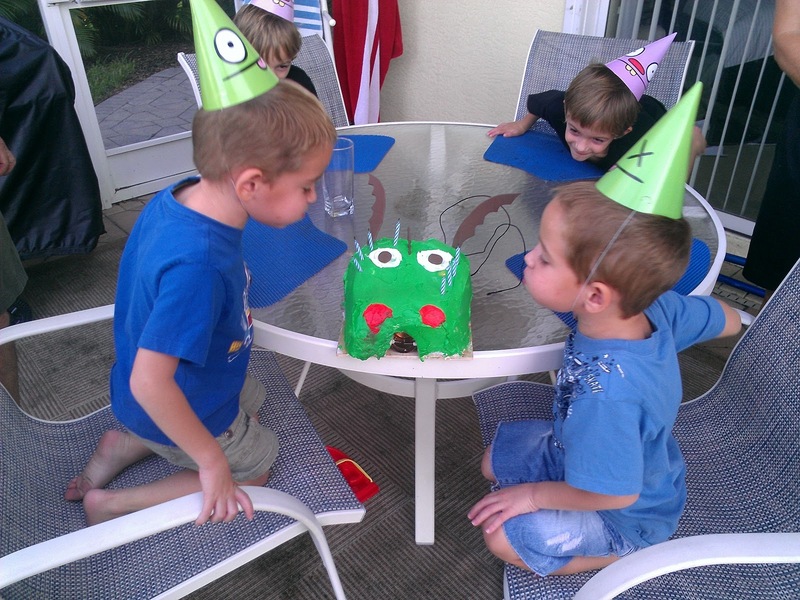 every year for the twins' birthday he creates their cake. 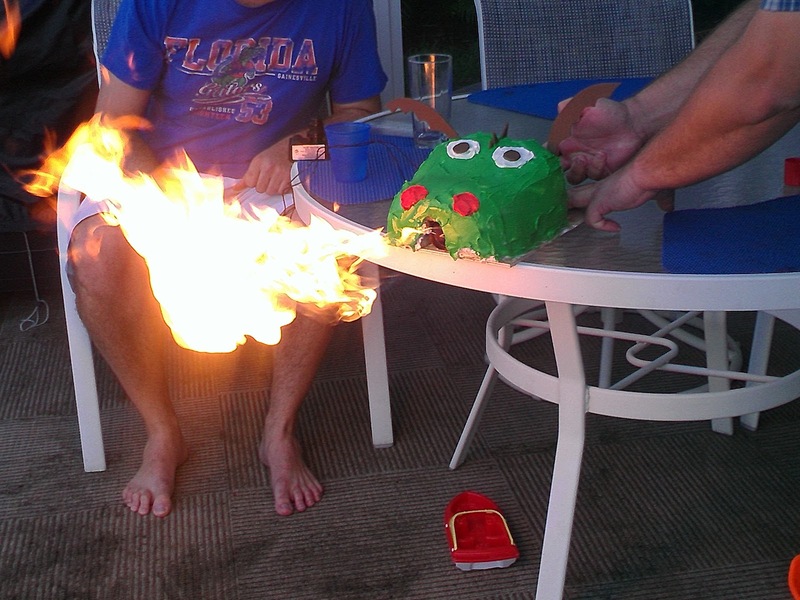 since Lincoln is obsessed with dragons - he aspires to be one when he grows up, drew created a fire breathing dragon for clayton and lincoln's 4th birthday.